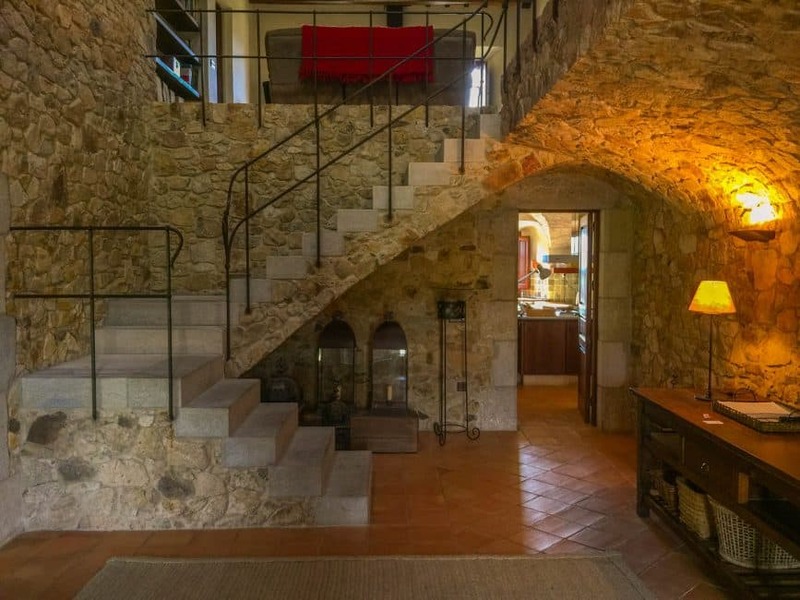 Haven't you always dreamed of staying in a villa on the Spanish Countryside? 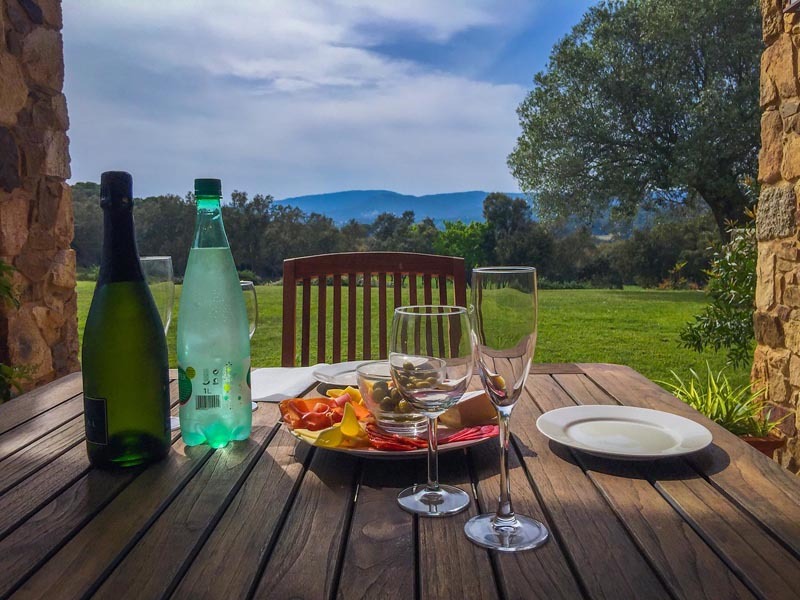 After reading books liked A Good Year and Under the Tuscan Sun (I know neither were set in Spain) I've always fantasized about spending a summer in Europe hanging out in a villa while sipping wine as we overlook the rolling scenery of fields and mountains. 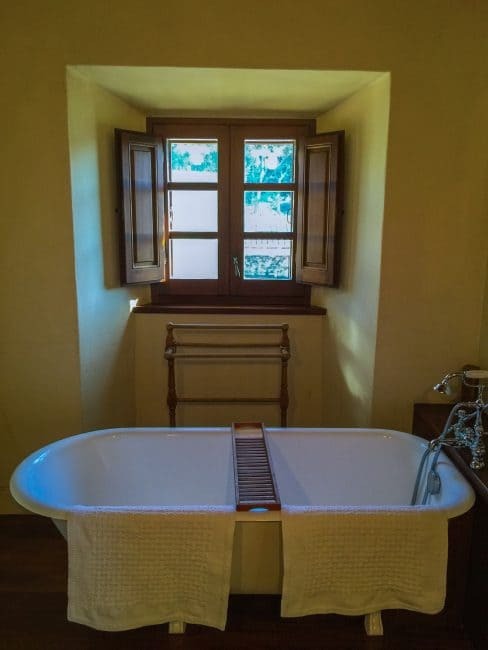 Well, we finally lived our fantasy and had our own Spanish villa in Spain's Costa Brava. 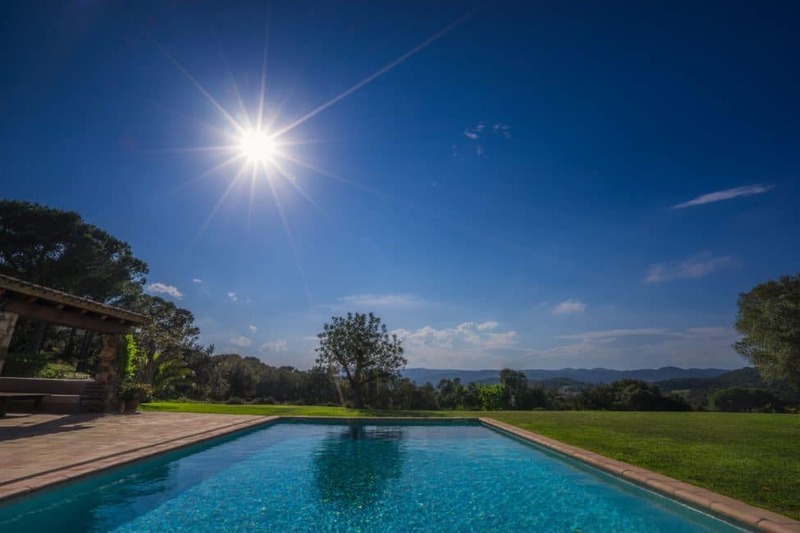 Spain has its share of villa rentals that can be found at CharmingVillas.net. 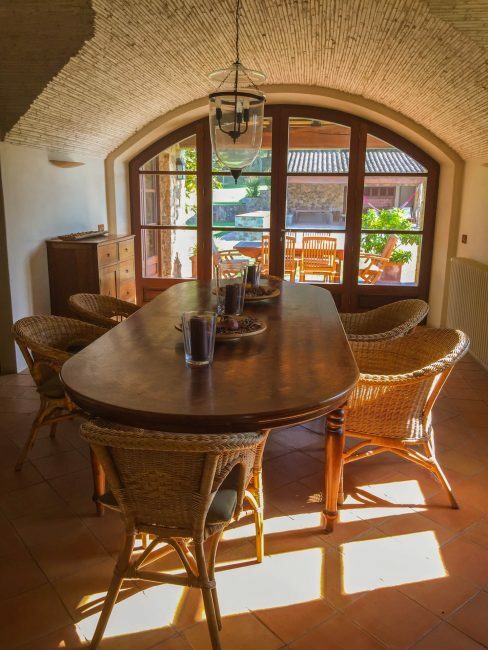 We settled into our farmhouse located just outside the Costa Brava Coastal town of Palafrugell. It's a place you never want to leave and it was the perfect start to our slow travel plans for the summer. We quickly settled in and unpacked knowing that we'd be enjoying this luxury farmhouse for the next couple of weeks. After a trip to the market to buy all the food and wine we needed, we set out to explore the grounds. 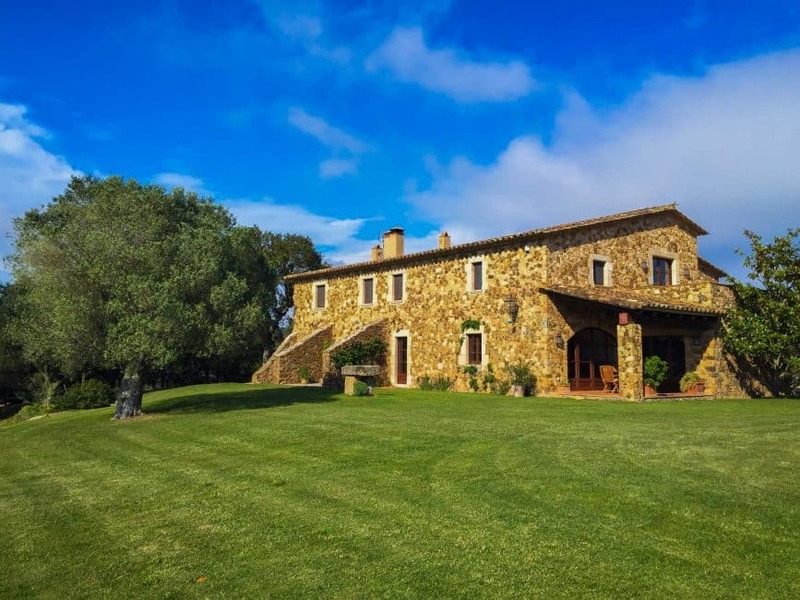 Mas Canyelles is situated on 15 hectares of land with trails leading out to the sea. 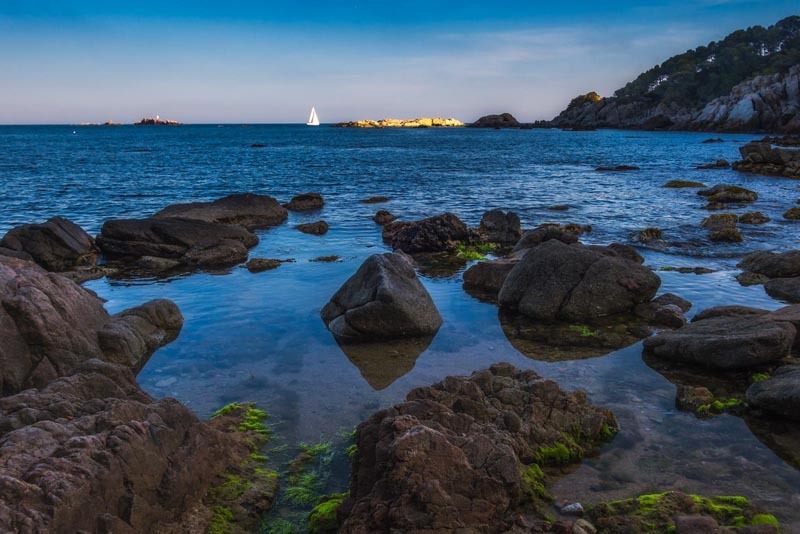 It's a half hour hike to a secluded beach on the Costa Brava Coast. The trails are well marked as they are a part of the Coastal Path and we never felt vulnerable or lost as many locals use theses trails for mountain biking and hiking. 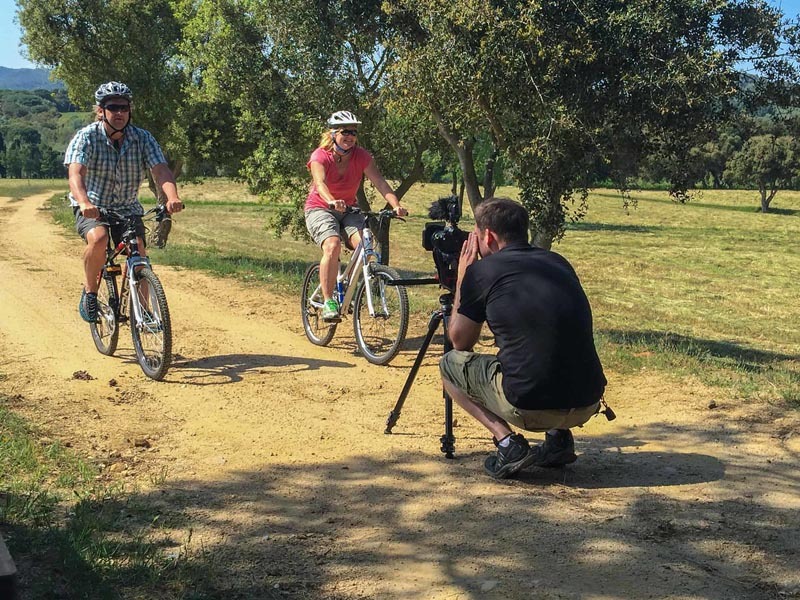 There are 6 well-maintained mountain bikes at the villa for use and with both Palamos and Palafrugell just 3 km away it's an easy ride on the bicycle path to each city. But truthfully, the experience is really about enjoying the property. 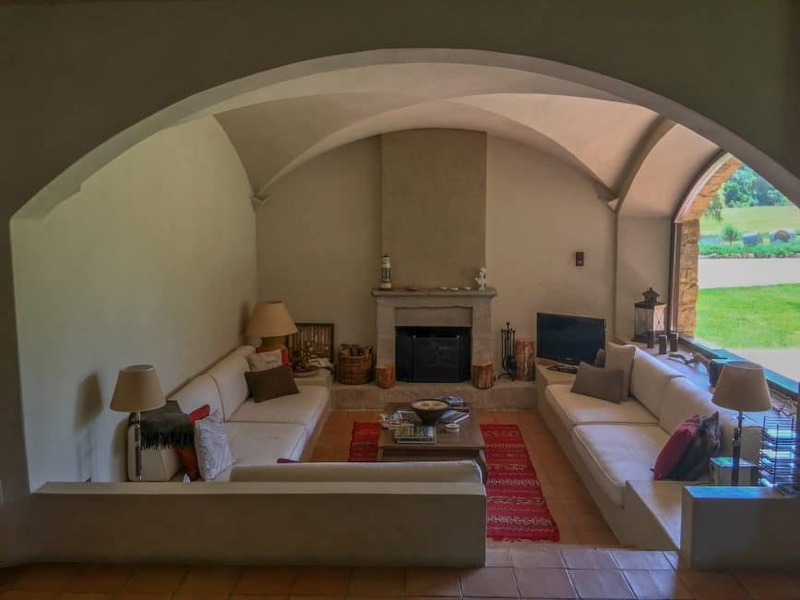 With a heated in-ground pool, 5 bedrooms, two fireplaces and several sitting rooms, this villa is all about relaxing and savouring the decadence of Spanish Villa Living. 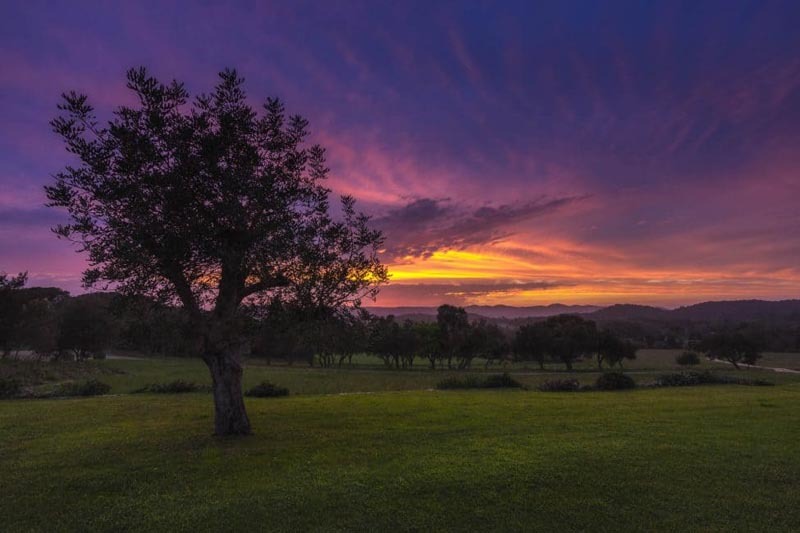 We cooked paella in the huge kitchen, barbecued outdoors under the warm Spanish sky and enjoyed cava and wine on the terrace as we watched the sun go down. I had visions of friends stopping by to say hello and really understood how the European lifestyle has a stillness to it that is magical. Life isn't about running around seeing all the sites possible, life is about enjoying each other's company and delving into the culture and lifestyle of a place. 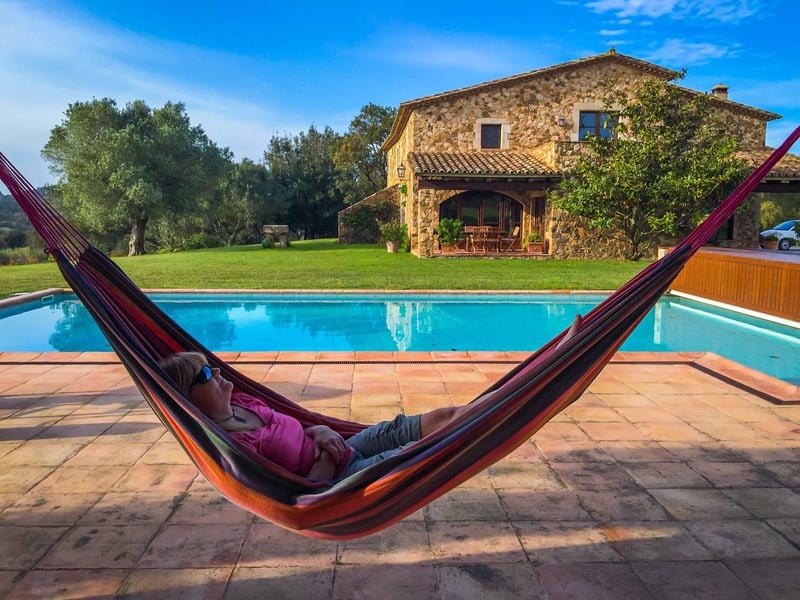 Spain was made for slow travel and slow living and staying in a Spanish Villa is the perfect setting for living your countryside dream. It's like a movie. Russel Crowe and Diane Lane have nothing on us. 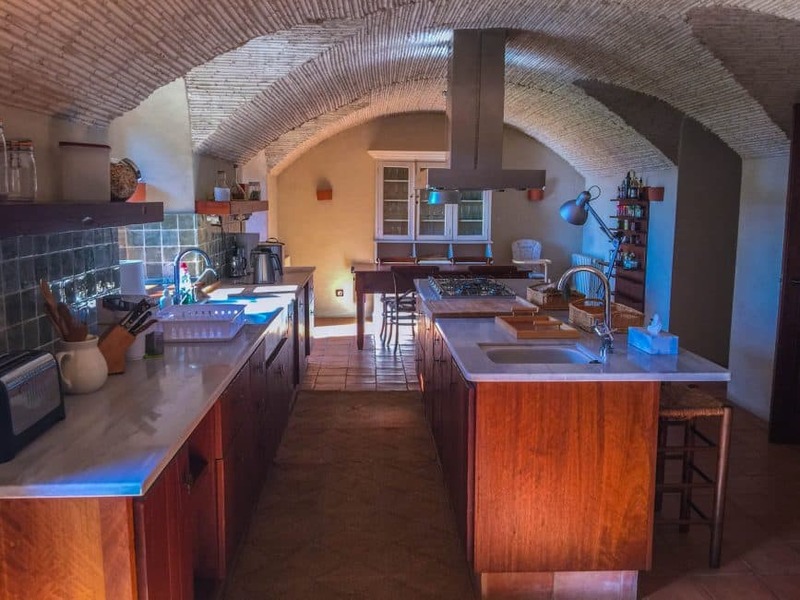 While they played at staying in an Italian or French Villa, we lived it and you can too. 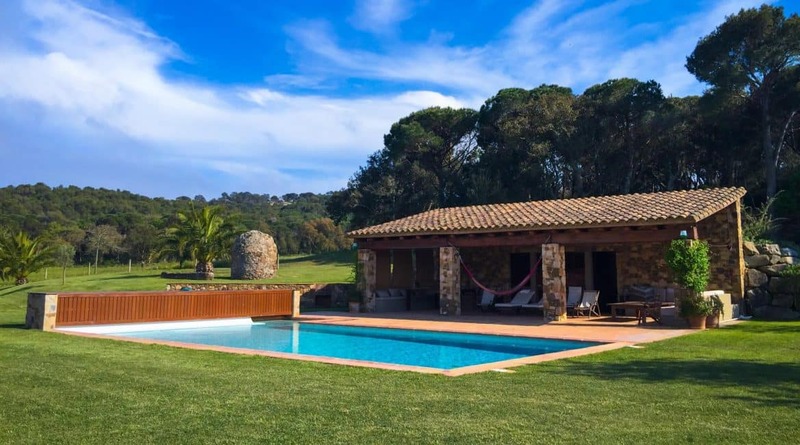 11 Responses to "Would you Like to Stay in a Luxury Spanish Villa?" Oooh, YES I want to go do Yoga there! YOUR BLOG IS REALLY FANTASTIC… YOUR RIGHT EUROPEAN CULTURES ARE WIDE VARIED FROM OTHER CULTURE…THANK YOU FOR SHARING THIS WONDERFUL EXPERIENCE WITH US. It is such a very wonderful natural things, and world class facilitis. and Its look very Romantic Places For Married Couple. i need to stay in this manor however i am live so admission trust i remain. A debt of gratitude is in order for sharing your experience keep up it . Have a decent week ahead. Spain is very beautiful , this place looks like Corfu ,GREECE ,it is so green. Outstanding natural setting and world class facilities. It looks quite romantic to me and I think it would be a perfect place for a newly married couple!! Such a wonderful natural setting, world-class facilities. It looks very romantic to me, may be a perfect place for a newly married couple!! I ve read the word “dream” and I fel happy! Besides, Mas Canyelles is awesome!! Remember you would be very welcome to the pyrenees to keep on dreaming with us!